Home / Competitions / Concert / Fancy winning a pair of tickets to Rock of Ages? Fancy winning a pair of tickets to Rock of Ages? 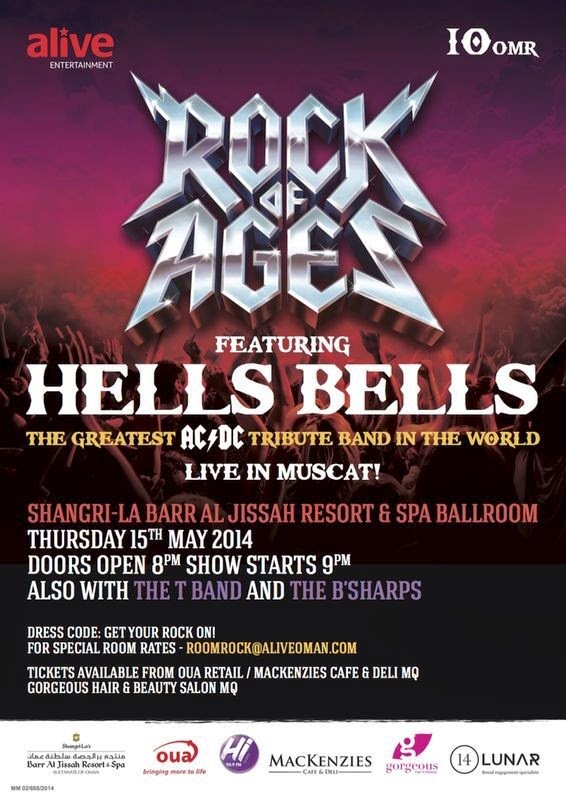 As blogged the other day, Alive Events are putting on a Rock of Ages party at the Shang next weekend (15th May) which is being headlined by Hells Bells from the UK, an AC/DC tribute band. T band and B#'s are also playing in support, if you like your live music, this should be pretty good. But for a lucky reader, you could win a pair of tickets for free right here on [MM]. Those people at Alive Events are such a generous bunch. Have a good weekend, and good luck. Dude, this is gonna be "The Event of the month" and surely I want those two tickets... my email is tharindu113@gmail.com!! Thanks. I want and i really want Rock of Ages!!!! A rock show finally good ole 80s music . I want the rock of ages tickets. What an amazing event this would be. I would love to win the tickets.